Erika Mailman’s kaleidoscopic narrative melds true crime, historical fiction, and elements of a psychological thriller, all hinging on a singular question: “Who isn’t a survivor from the wreckage of childhood?” To answer that question, The Murderer’s Maid, a Lizzie Borden novel, returns to the scene of the famous ax murders in a story that parallels the past with the present. Two protagonists work in concert to navigate Mailman’s world. 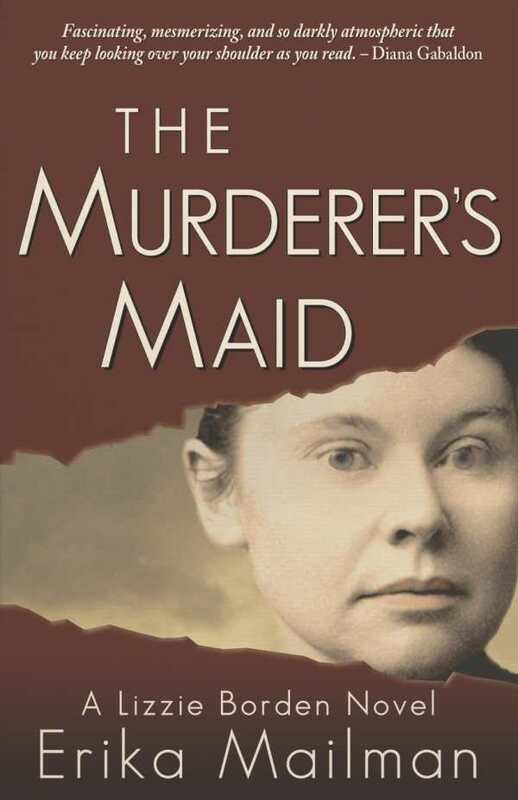 Chapter to chapter, perspectives shift as the setting alternates between the late-1800s Bridget Sullivan, the Borden family’s Irish immigrant maid, and 2016’s Brooke, a Latina graduate of the foster-care system who’s convinced she’s barely one step ahead of her would-be murder. Though there’s more than a century between them, Bridget and Brooke are bonded by circumstances: the paranoia and uncertainty of their living situations, their experience as immigrants, and their life-altering proximity to horrific violence. While Bridget’s story begins several years before the famous ax murders and works its way toward the trial’s aftermath, Brooke’s begins with death and navigates the ominous territory of living out from under the shadow of crime. What’s interesting is their perspectives as intimate outsiders and witnesses. Both know more than anyone else, but what they know is always less than it takes to understand what they’ve seen. As if these parallels weren’t rich enough, Mailman eventually joins their narratives in a surprising twist of either epigenetics or karma. Whether it’s the nails securing the door between Lizzie’s bedroom and her parents’, or a naive child’s glimpse of adults creating breaches that can never be repaired, Mailman probes the precedents of her opening question. Despite the unavoidable bleakness, her answer is surprisingly full of hope and illustrates how diverse and complex life’s journey can be when people have a will to survive.